Home > NonprofitMaine Blog > Where is your Organization on the Talent Sustainability Continuum? Where is your Organization on the Talent Sustainability Continuum? The following post from Nonprofit HR was republished with permission. Nonprofit HR, located in Washington, DC, is the leading human resources firm in the country that works exclusively with nonprofit organizations. Nonprofit HR President and CEO Lisa Brown Alexander will provide the keynote address at MANP’s 2018 Nonprofit Finance Conference. As nonprofit organizations strive to achieve a greater impact, unfortunately, talent remains a fairly low priority across the sector. This is a mistake. People are the primary drivers of nonprofit performance and impact. The most impactful and sustainable nonprofit organizations are those that understand just how interdependent organizational sustainability and talent sustainability truly are. Intentionality. To be truly intentional with your talent practices, understand that talent sustainability is not just a nice-to-have — it is an asset to be managed, nurtured and invested in, and one that can deliver measurable return on investment. Intentional organizations prioritize talent and view talent as essential to furthering mission impact. Strategy. Your organization’s strategic plan should have a talent management plan incorporated into it. Go beyond the basics of compliance, payroll and benefits administration, and focus on aligning the current, intermediate and long-term goals and objectives of your organization with a talent plan that supports them. Of course, any short and long-range plans require the appropriate allocation of resources needed to achieve defined talent management objectives, and require holding leadership accountable for programmatic, financial and talent outcomes including but not limited to efforts to improve results through diversity, equity and inclusion. Integration. If you understand the importance of talent effectiveness to organizational effectiveness, you know that talent goals should be integrated with long-term organizational goals; talent and HR leadership must be a part of both short and long-term planning and help leadership develop thoughtful and clear strategies and analytics that will drive performance. Image courtesy of Nonprofit HR. Other key steps toward achieving talent sustainability include hiring the right individuals for the right roles at all levels, being clear on who should do the work and not just what should be done, developing and maintaining a healthy workplace culture, and ensuring leadership is aligned with and supportive of talent goals. Further, to ensure overall growth, your organization should invest in both leadership and staff development consistently and proportionately. Leadership is “talent oblivious,” or does not invest in talent. Leadership is “talent aware,” but not intentional. Let’s take a closer look at each of these categories, and help you determine where your organization currently sits on the talent sustainability continuum. From there, you can determine what changes need to be made in order to achieve talent sustainability, and in turn, overall organizational sustainability. On the least sustainable end of the continuum lie organizations that simply do not invest in their talent or are “oblivious” to the importance of talent. Organizations that exist in the “talent oblivious” area of the talent sustainability continuum have little to no resources allocated to talent attraction, engagement, development or retention. This also means they’re not putting in the time and energy to set their teams up for success through effective talent management practices. 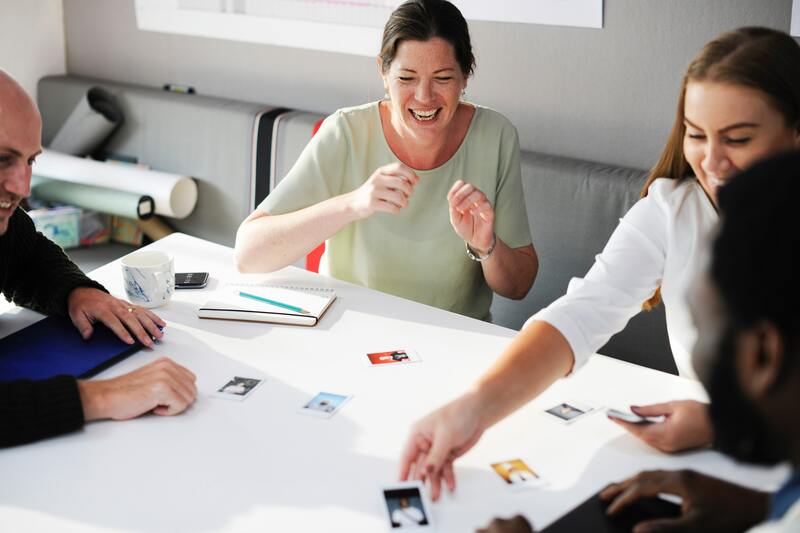 In these organizations, leaders fail to make any connection between outcomes and those who work to drive them, are often neglectful of culture and its impact on management and staff, and prioritize programs, fundraising and finance above all else. Unfortunately, the leaders of talent oblivious organizations often do not fully recognize that people are the driving force behind their programs’ success and fundraising efforts. A lack of investment in talent among these organizations is often due to the vicious supply and demand cycle of funding for talent-focused initiatives. Organizations whose funders only offer dollars for specific programs tend to have a low supply of resources to invest in their teams. This is likely because, without talent focused leadership, the demand for funding for talent-focused initiatives goes unseen. Leadership can step up and break this cycle by being stronger advocates for talent investment. The next area on the talent sustainability continuum includes “talent aware” organizations. Leaders at these organizations understand that there is value in talent investment, but the allocation of resources for talent attraction, engagement, development and retention are seen as “nice to haves,” rather than essential to the ongoing success of the organization. Talent investments by these organizations are often inconsistent, are not seen as priorities and are generally not aligned to any broader organizational strategy. In talent aware organizations, related investments tend to ebb and flow with changes to the organization’s budget and are forsaken when other “more important” priorities rise to the surface. In these organizations, talent management planning generally does not happen. Or, when it does, it is not integrated with the strategic plan. Therefore, it is not fully recognized as crucial to sustainability and mission impact. Talent aware organizations may have dedicated leadership focused on people and culture related initiatives but more often than not, the talent function is one of many responsibilities assigned to the leader and talent initiatives have to “fit in between” other organizational priorities. In a talent focused organization, leadership, board and staff want to maximize their impact through people. These organizations prioritize the allocation of resources for talent attraction, development and retention in an intentional way and view these investments as integral to organizational success. Hiring, learning and retention effectiveness are prioritized, and talent management planning is integrated with the organization’s strategic plan. Often, talent focused organizations have an HR or talent leader at the senior management level in their organization and see that individual as a key contributor to short and long-range planning and strategy development. Talent-focused nonprofits are often willing to engage a Chief Human Resources Officer or Chief Talent Officer whose primary focus is to ensure alignment between the overall strategic and talent plans, and that new initiatives are implemented with people and culture considerations having been thoroughly implemented and evaluated. Some nonprofits enlist the help of expert human resources firms to take on the role of a human resources strategist for their organizations. To learn more about this process, read our case study on how One Hope United brought on Nonprofit HR to evolve its HR function from tactical agent to strategic and, in turn, helped drive cultural change. New York based organization Fund the People says it best: “Investing in the nonprofit workforce is the best thing we can do to increase performance and impact across the social sector.” At Nonprofit HR, we also believe that meaningful, strategic investments in talent drive mission impact. As the demands for outcomes and impact continue to be driven by funders, boards and consumers of services, it will become increasingly critical for social sector organizations to prioritize talent and make the connection between more meaningful investments in people and the results that organizations achieve. No matter where your organization currently falls on the continuum, all organizations can –– and should –– strive to become talent focused for the benefit of their organizations and the communities that they serve.